Christmas has gone, winter is here, and do you know what that means?! Football playoffs!!! Which is all leading up to the big championship game!!! Whether you’re a die-hard football fan or mainly just in it for the food and commercials, we’ve got your back in helping you plan the very best menu to serve at your watch party. For any type of sports gathering I like to do mainly finger foods for two reasons. One, they are delicious. And two, they are easy to eat. Most people will be taking their food into the living room so they don’t miss a second of the game (or commercials), so you want something that is easy to eat on the couch. Preparing for a crowd to watch their favorite game doesn’t have to involve cooking for days on end either. I’ve included some of my favorite quick and easy recipes plus my favorite grocery store frozen food finds that make sure your guests leave full! Here are some of my favorites that are sure to be crowd-pleasers at your house too! 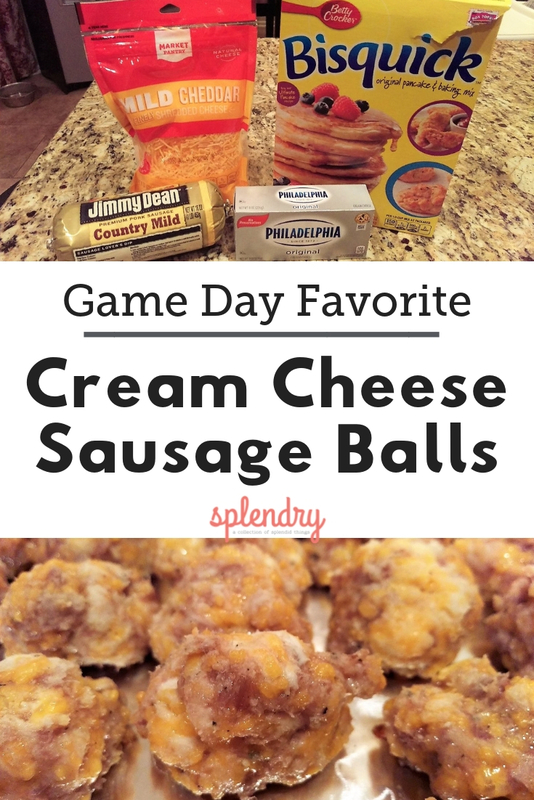 Cream Cheese Sausage Balls– These are one of my favorite party foods. They are delicious and so easy to make! Chicken Wings– I can’t get enough of some good chicken wings! My favorite are TGI Friday’s wings. These are great because besides the cooking time, there’s very little prep time. Toasted Ravioli– Being from St. Louis, we love our toasted ravioli! Served with either ranch or marinara, these are sure to be a hit! 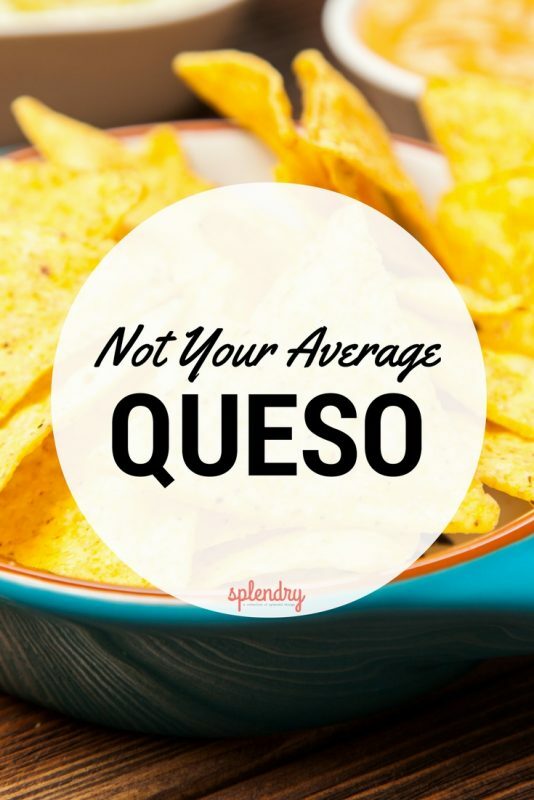 Not Your Average Queso– This recipe is something different than your average cheesy chip dip. Your guests will be pleasantly surprised and asking for more! 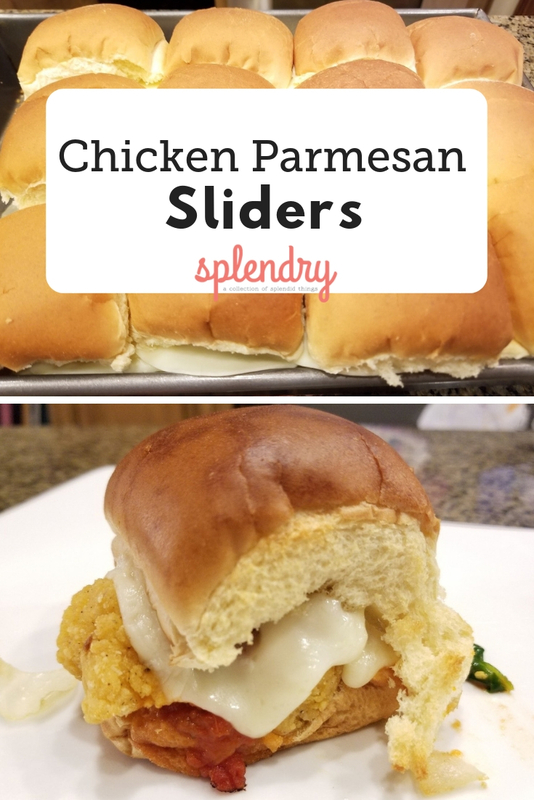 Chicken Parmesan Sliders– These chicken Parmesan sliders are delicious! They are easy to make but so filling and yummy! 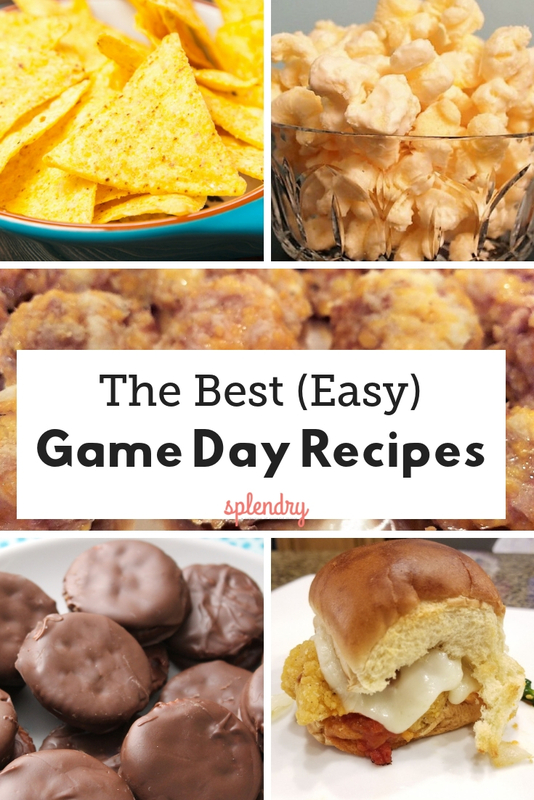 If desserts are more up your alley when watching football, here are some of my favorites. Once again, these are easy to make when cooking for a crowd. These taste great and are addicting! Almond Bark Puffcorn– Oh chocolate covered puffcorn, it’s so so good. You could literally eat most of the bowl and not realize it, it’s that good! Graham Cracker Pralines – So simple (just four ingredients!) and perfect to make for a crowd! 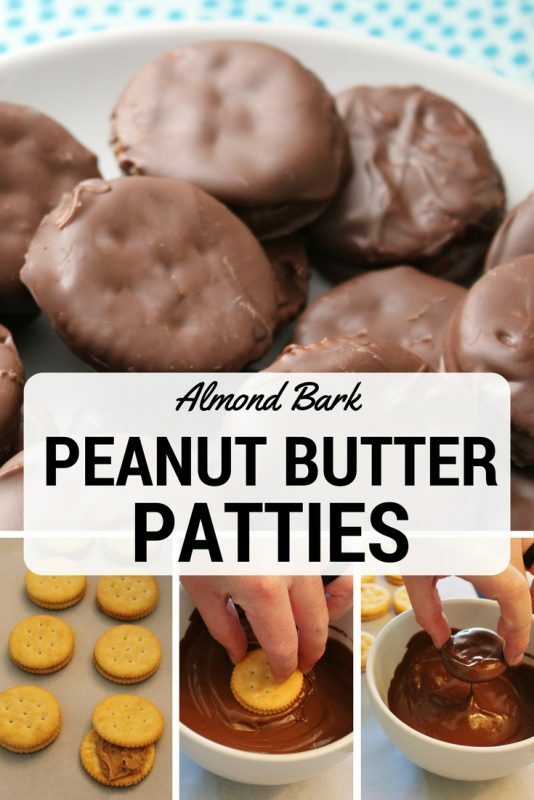 Almond Bark Peanut Butter Patties– Chocolate and peanut butter – there are few things that are a better combination! Plus add the salty taste from the Ritz crackers and it doesn’t get much better! I hope this gives you some ideas for your next football watch party! No matter who wins or loses, the food will be amazing and that’s the most important thing, right?! Enjoy!! !